Odilon Redon is the precursor to Salvador Dali and Marcel Duchamp that we never knew we wanted. Born in Bordeaux, France to a Creole woman from Louisiana, Redon’s real name was Bertrand Jean Redon, but everyone called him a variation of his mother’s first name which was Odile. He was a weird and sickly child, possibly afflicted with epilepsy. Because of his weak health, he was sent to live with his uncle on the family winery. He was alone a lot and therefore had to entertain himself if he didn’t want to be constantly bored. He claimed that he would watch clouds go by and hide behind curtains in their giant house. Nothing about his life was bad but it was tinted with darkness from the beginning, something that defined his later work. He started school at the age of 11 which gave him a chance to be really, really different from the other kids. He was winning art contests because he wasn’t shoved onto the same conveyor belt of education as every other kid and showed some creativity. His parents recognized this and sent him to work for Stanislas Gorin in 1855. Gorin introduced Redon to artists like Delacroix and Goya. It was as good an introduction to the art world as any. Redon’s father pushed him to study architecture at L’Ecole des Beaux Arts but after a year of loathing it, he quit. Then he studied with Jean-Léon Gérome, who was much too harsh for Redon’s taste so he quit that too. Nothing was working out until Redon met Rodolphe Bresdin in 1865. This was the man who made Redon fulfill his entire potential. Under his mentorship Redon accessed his trippy, spiritual side that made his art so fugging cool. In the 1870s Redon worked with absolutely no color whatsoever. It was surreal and awesome, but completely devoid of color. This was not a statement about Redon’s lack of happiness or love. 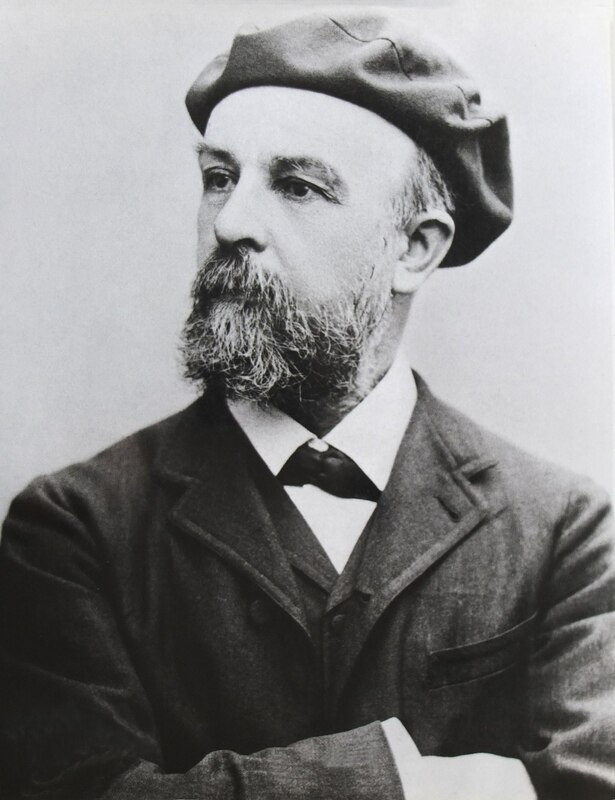 He happily married Camille Falte in 1880, claiming that he was more sure of his love for her than even his vocation as an artist. But the black was ever present. The only indication that the darkness of his work would fit his personal life was when the couple lost their six-month old son and Redon slipped into a deep depression. The charcoal was going on before this so I guess it was a genuine interest; then in 1890, something inside Redon snapped. From that point on he only worked in the most vibrant of colors. Some say it was an enlightenment or religious awakening but this is unconfirmed. Luckily people loved the switch and he grew more and more popular. Redon participated in the super famous Armory Show of 1913 and had a catalogue raisonne of his prints published. All was well until the war started in 1914, and his son went to fight on the front lines. It’s said that Redon died of the dread of losing another son. Check out the full Wikipedia article about Odilon Redon.